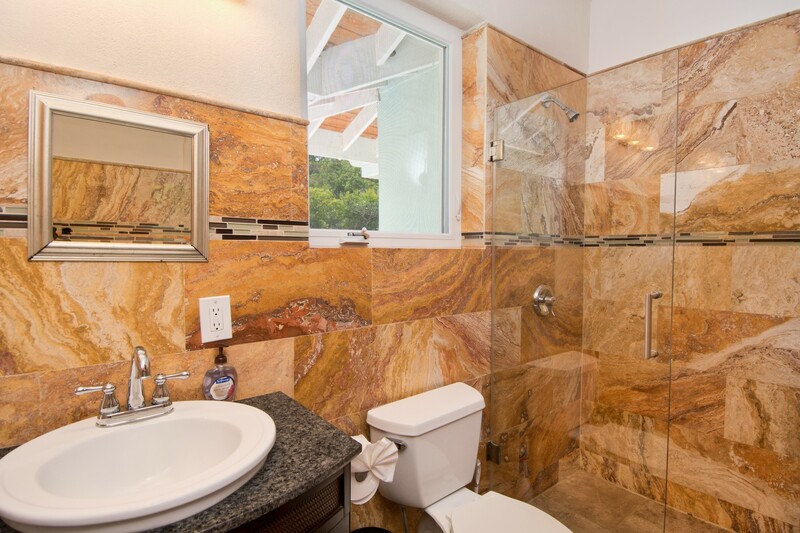 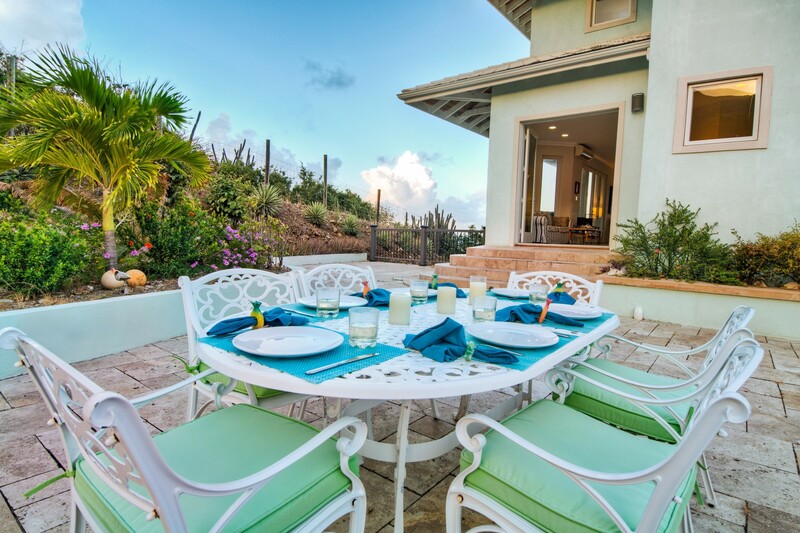 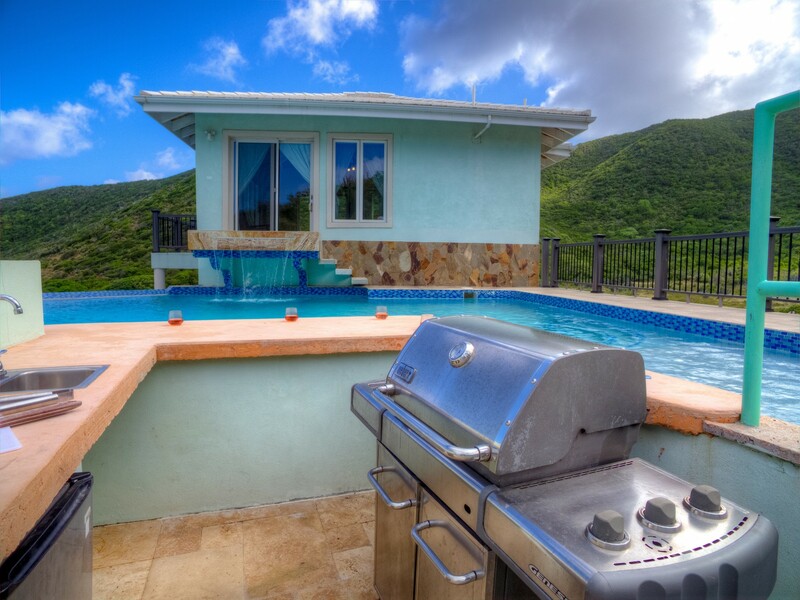 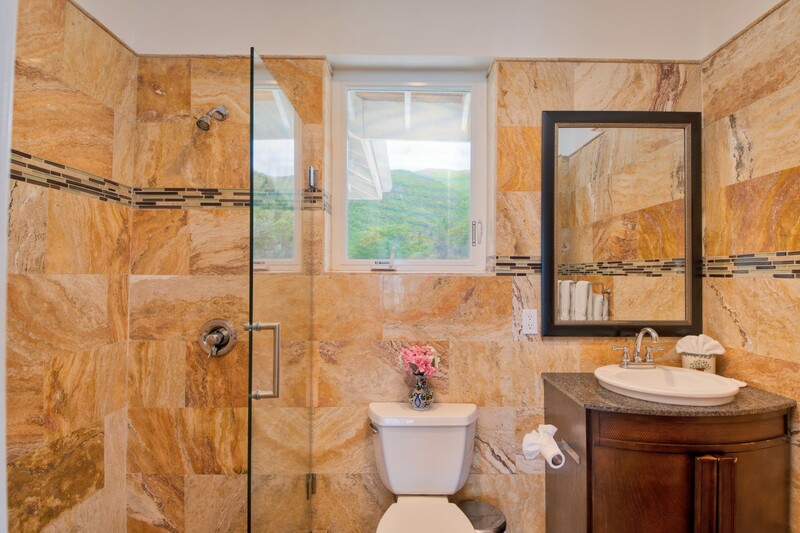 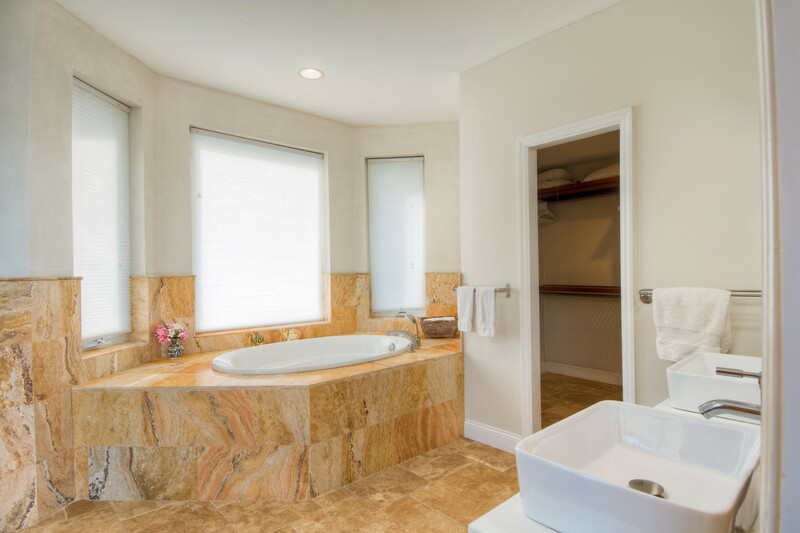 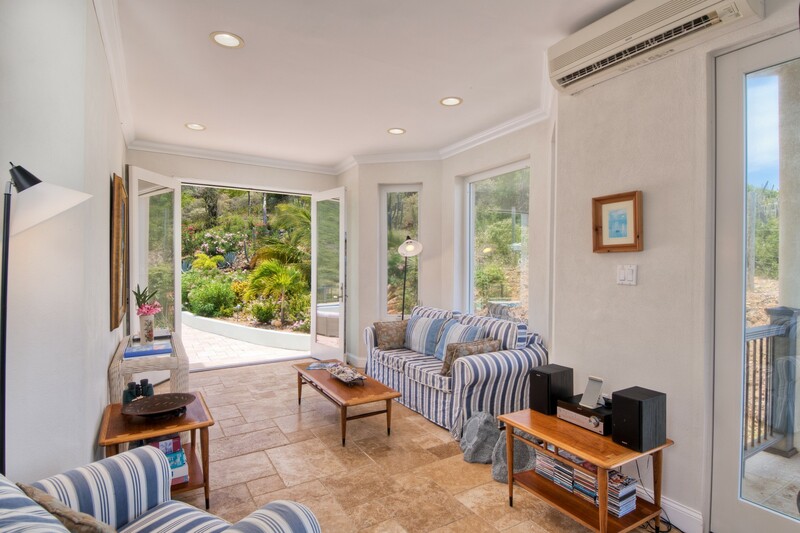 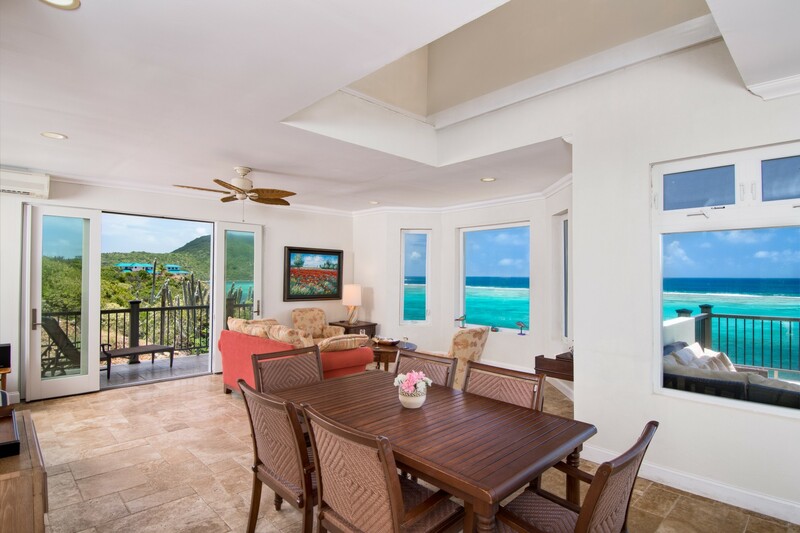 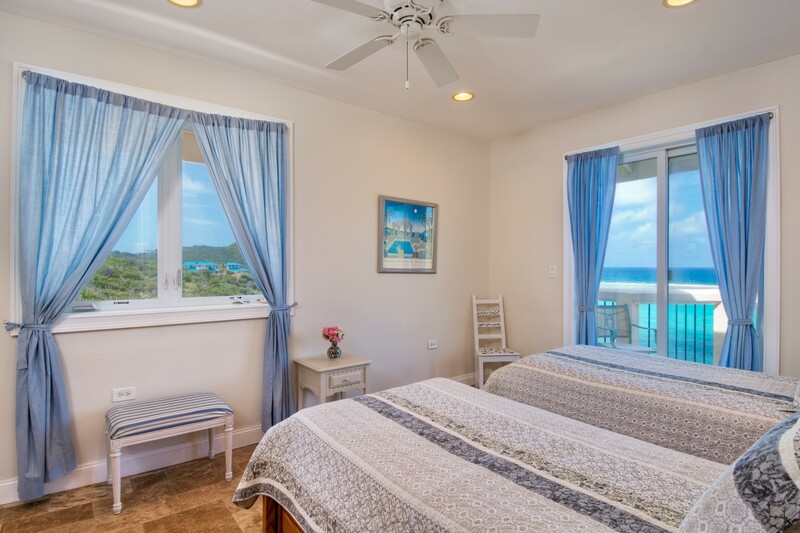 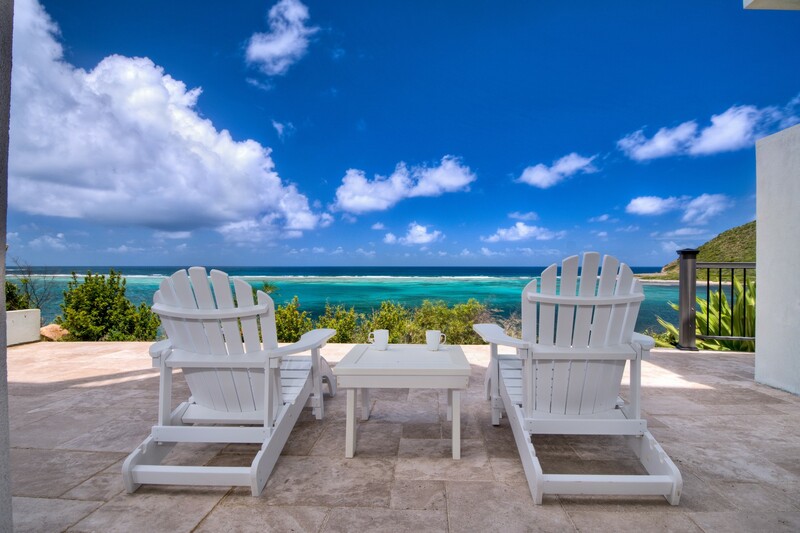 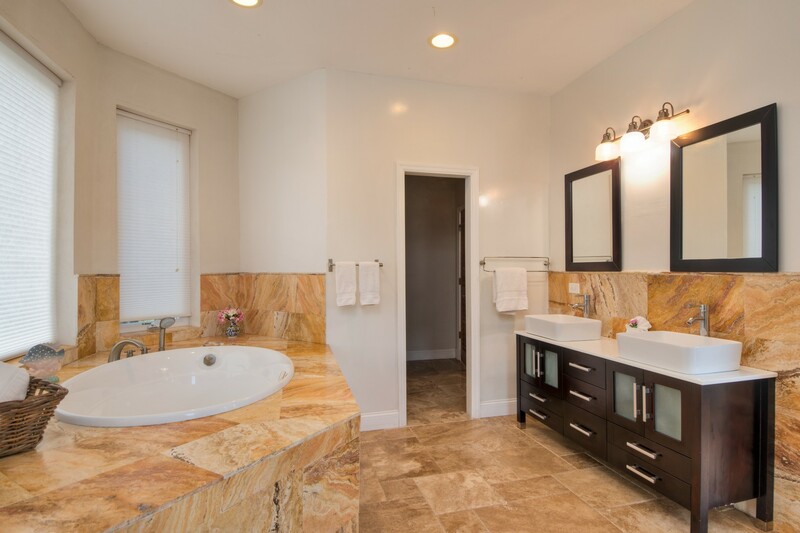 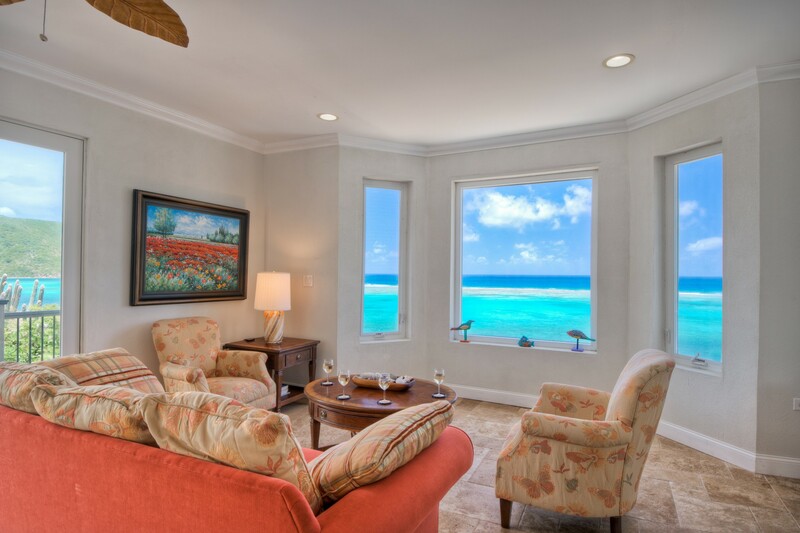 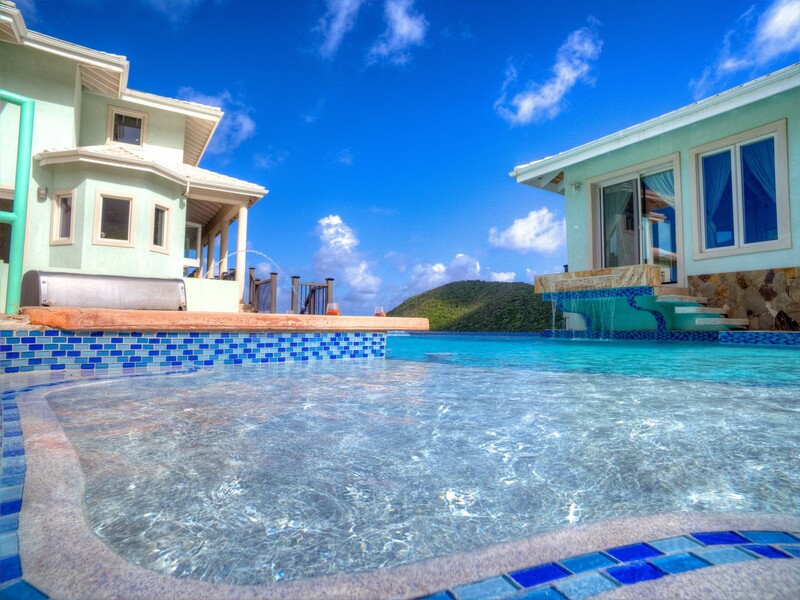 Welcome to Anam Cara, our luxury 5 bedroom villa located in Virgin Gorda. 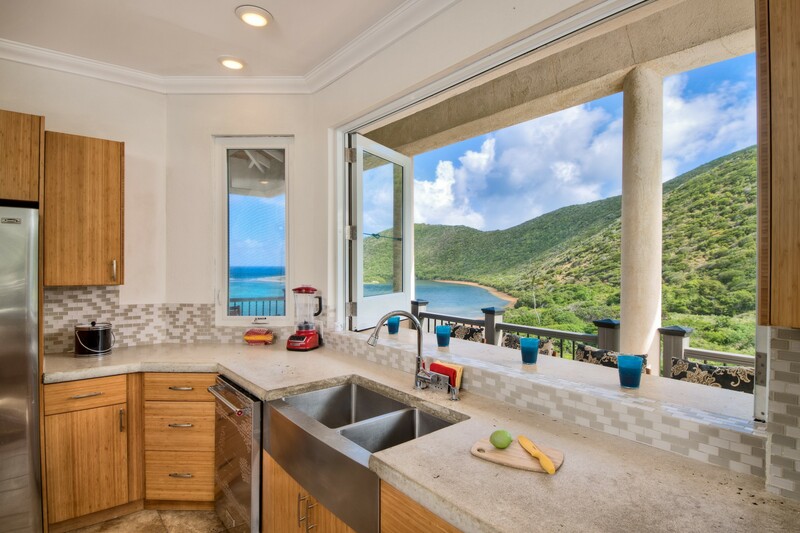 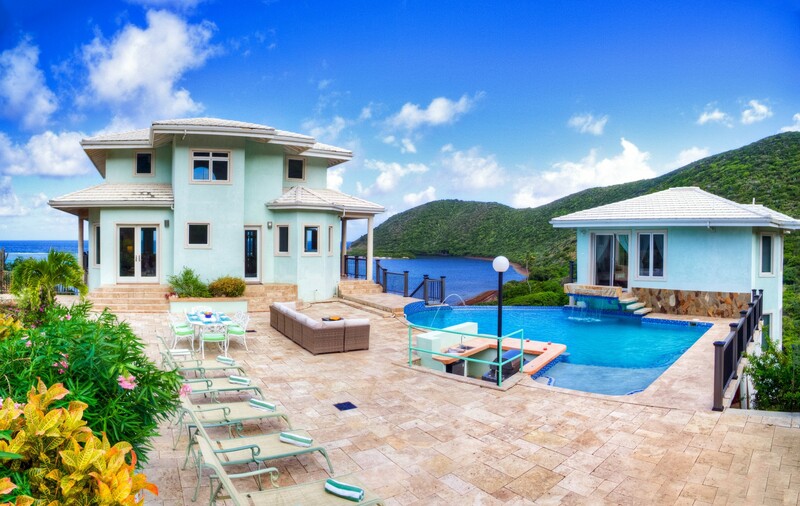 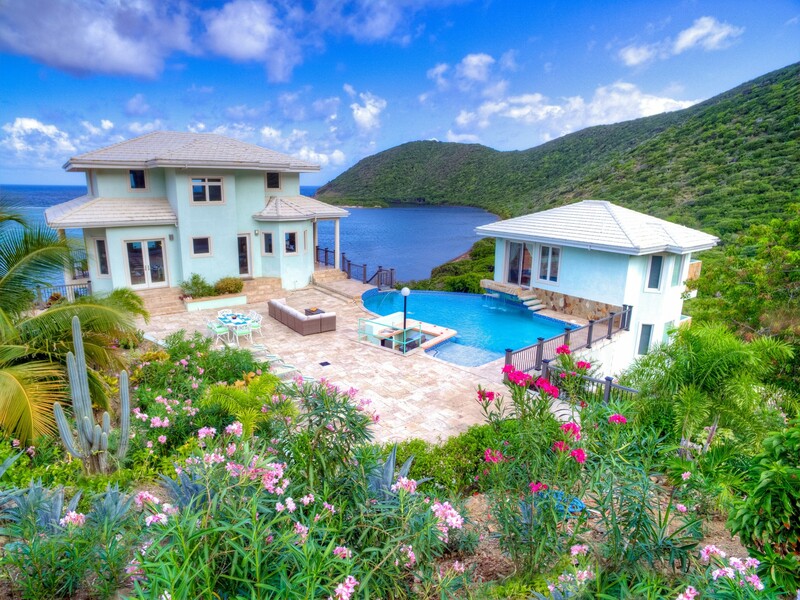 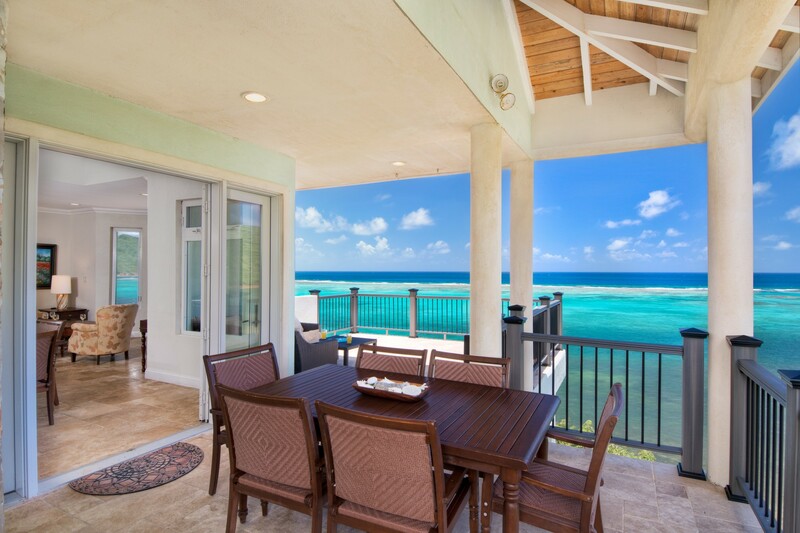 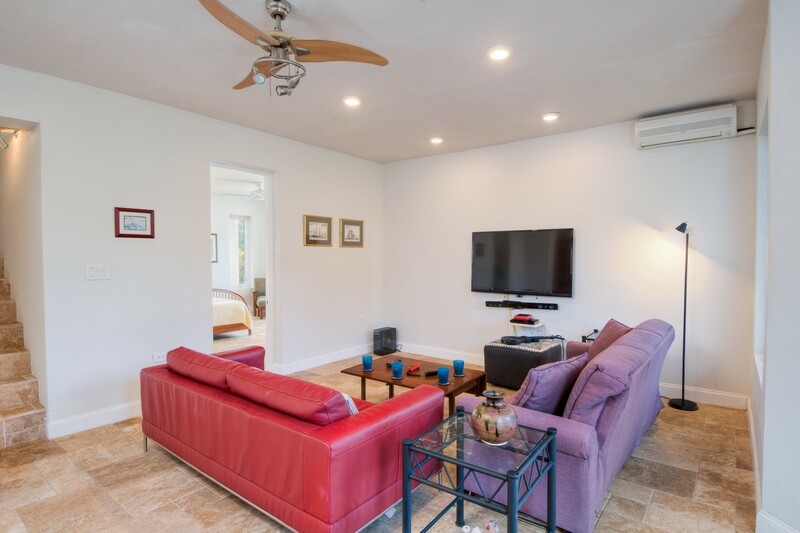 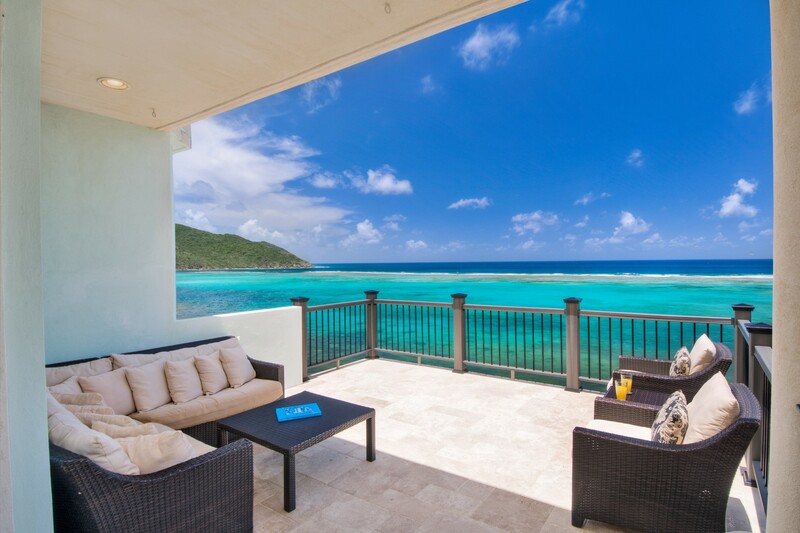 This stunning villa is a unique vacation home located directly on the water in Little Bay, South Sound, Virgin Gorda, British Virgin Islands. 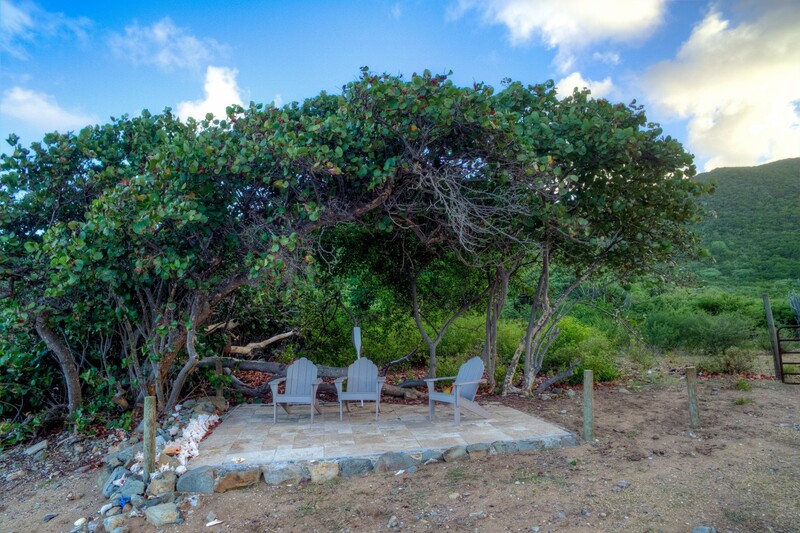 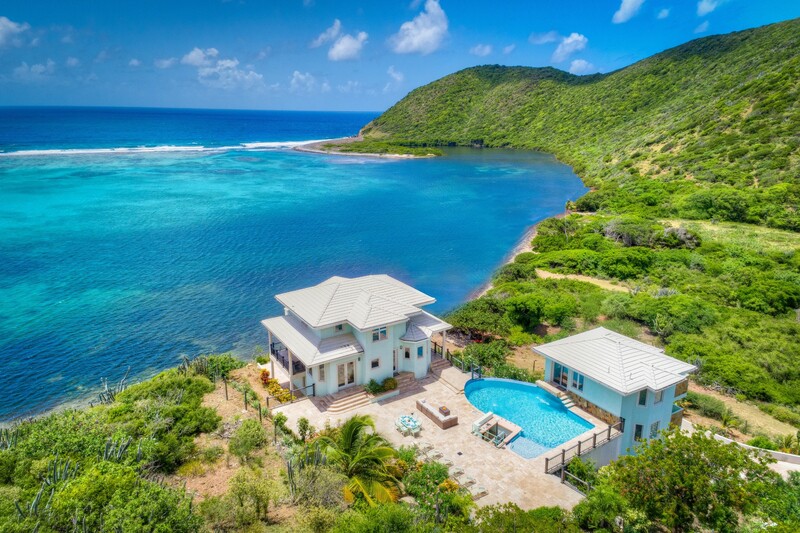 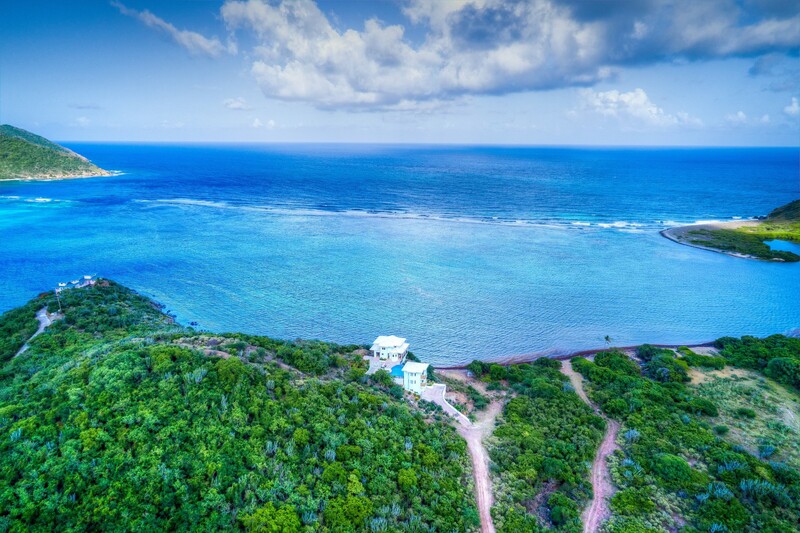 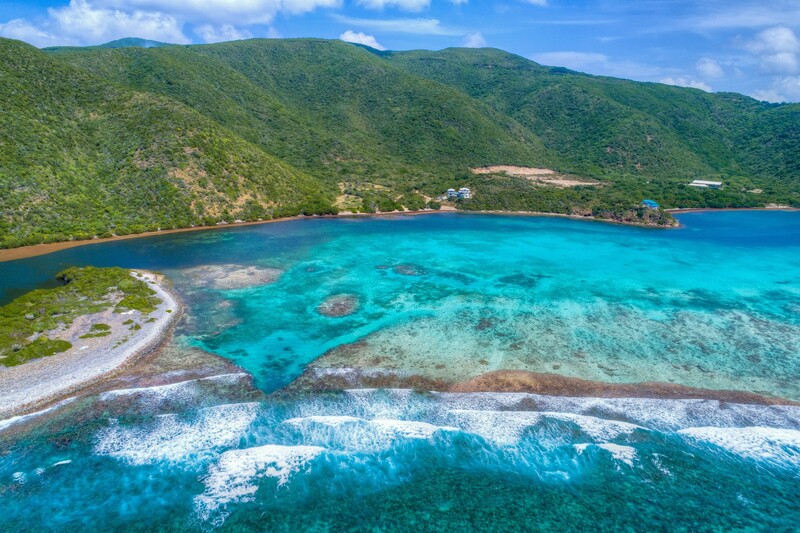 The Villa's spectacular private waterfront location is in a BVI designated marine sanctuary and near one of the last undeveloped landscapes on Virgin Gorda. 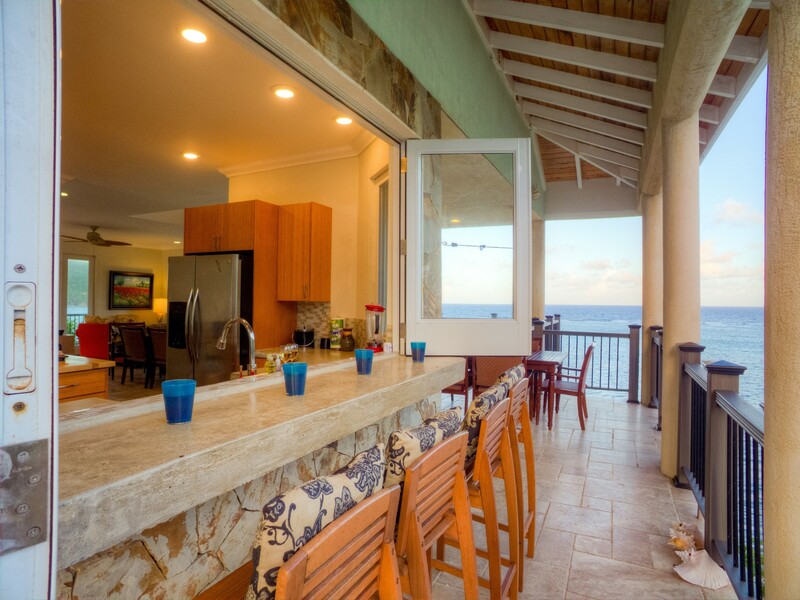 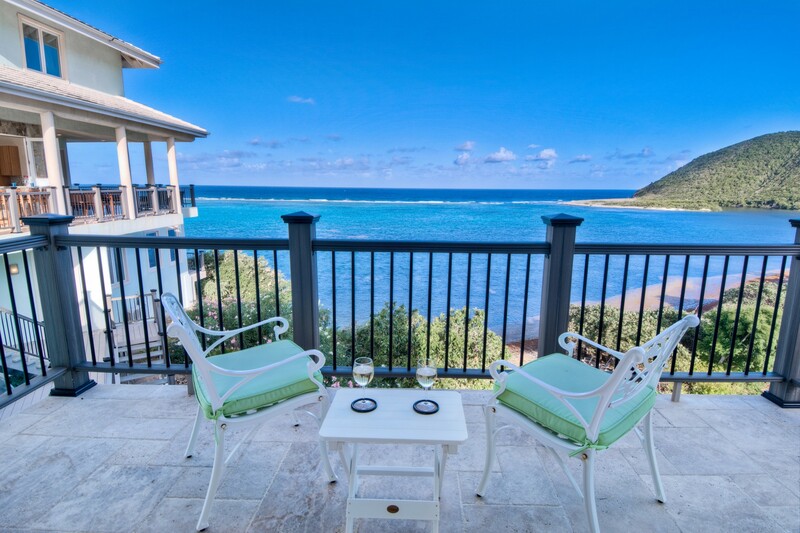 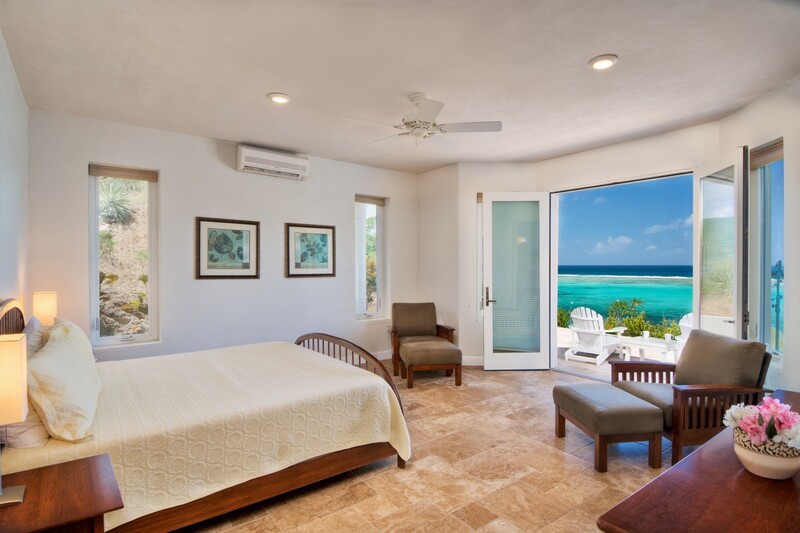 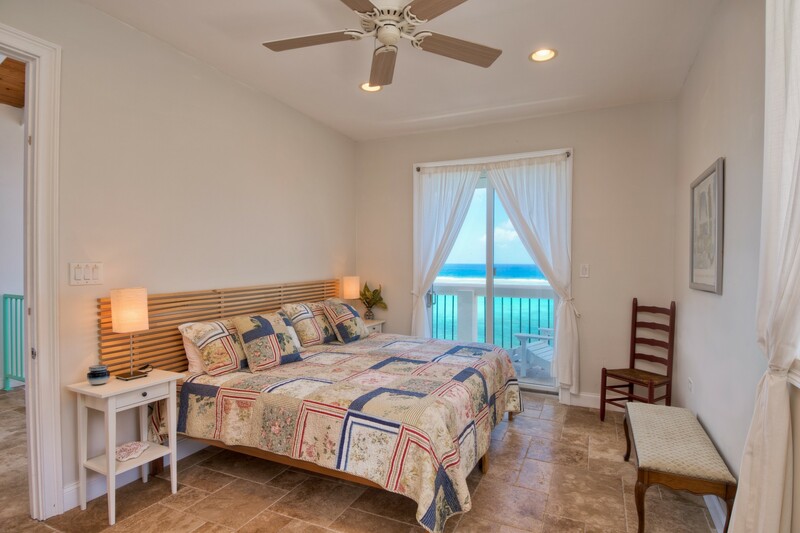 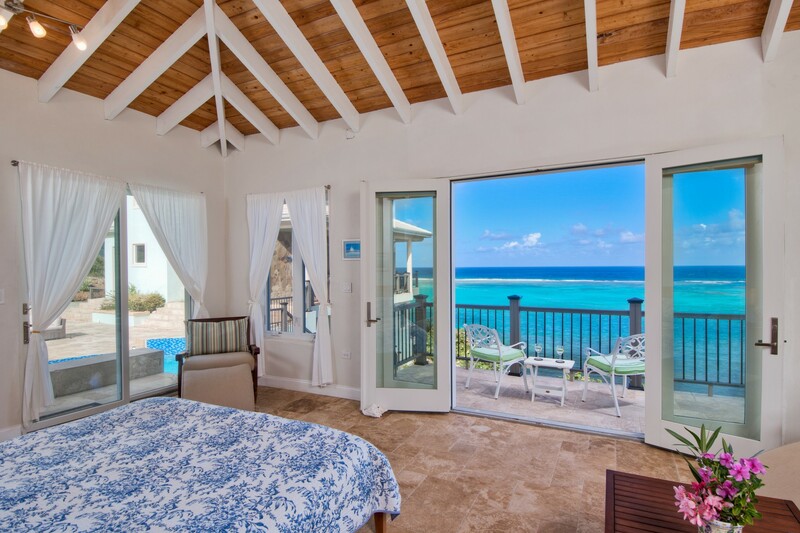 The views off the decks and balconies range from looking directly down at sea turtles, various tropical fish and the occasional mantas swimming below to stunning views out to sea with endless waves rolling up on the offshore reef. 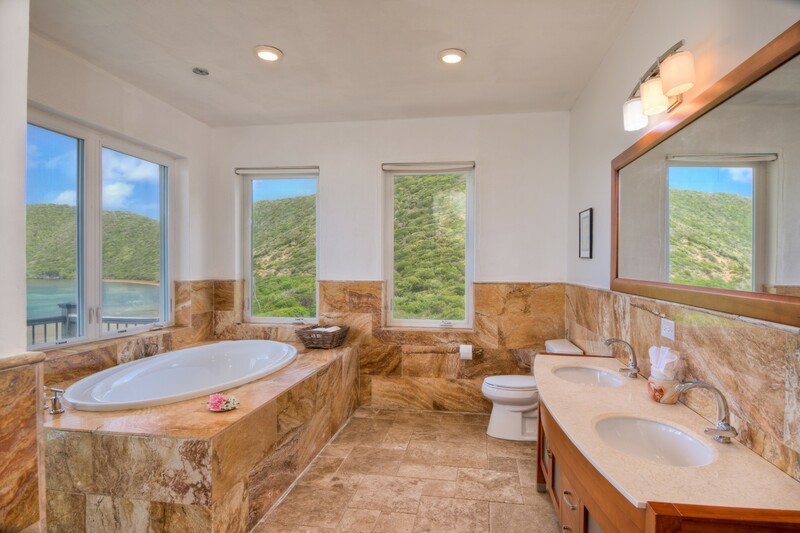 To the sides and behind you are views of the surrounding mountains and hills of Gorda Peak National Park. 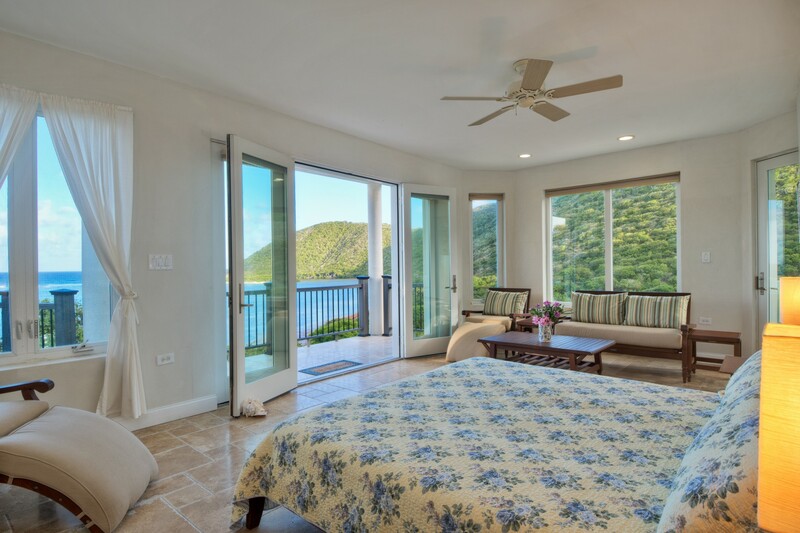 Your closest neighbors are the parade of marine life below, pelicans and seabirds above and cows grazing serenely on the distant hillsides.